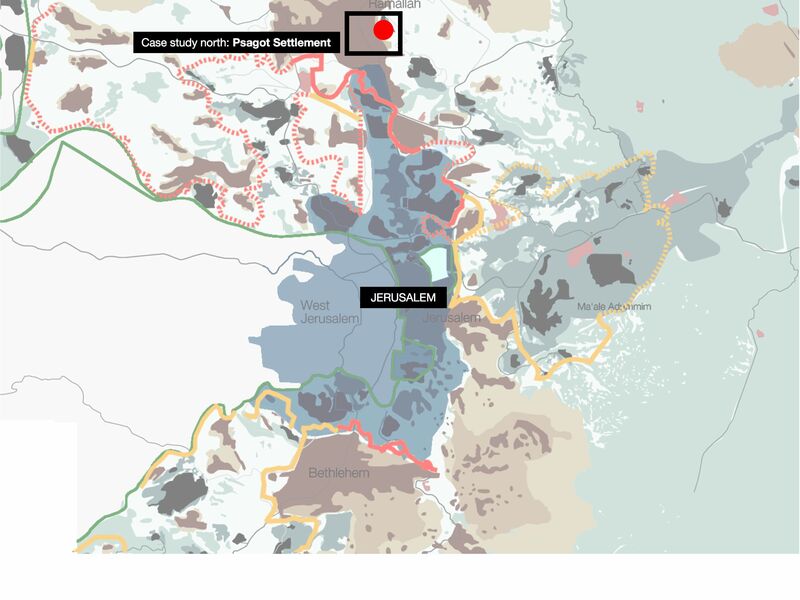 We have chosen the colony of P’sagot as our first “laboratory” because of its radical proximity to Ramallah and Al Bireh. The hill is visible from everywhere in the city. From it, during the early years of the intifada, Israeli soldiers used to shoot anti tank rockets at Palestinian vehicles or depart for raids. Located on the hill of Jabel Tawil, 900 meters above sea level, the colony visually dominates the entire Palestinian area. Until the occupation it was used as an open space for recreation. 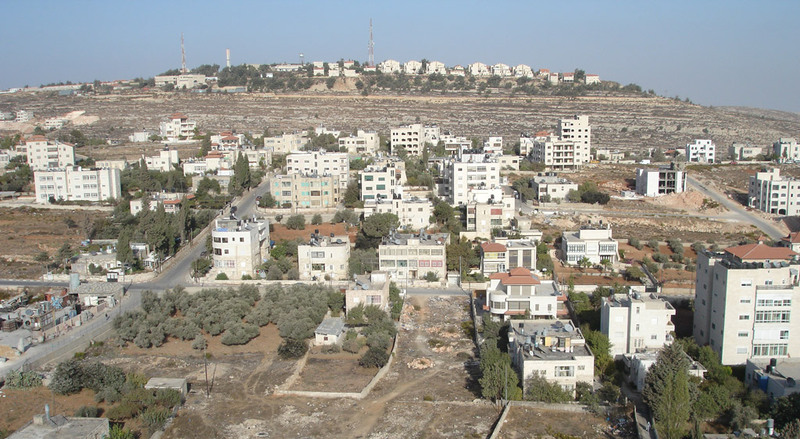 The hills of Jerusalem and Ramallah were popular with families from the Gulf, especially Kuwaitis who travelled there to escape the summer heat (the people of Ramallah still call the hill “the Kuwaiti hill”). 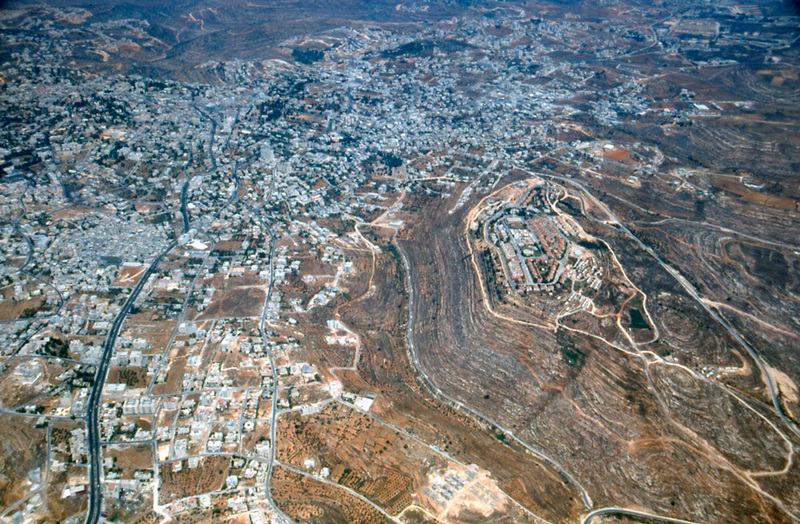 In 1964, the municipality of Al Quds (Jerusalem) bought the land and prepared a plan for its development into a tourist resort. The work started in early 1967 with the construction of an access road. The work was interrupted by the Israeli occupation. In July 1981, on the initiative of the Likud party, the colony of Psagot was inaugurated as ‘compensation’ to right-wing Israelis for the evacuation of the Sinai Peninsula. The area designated for tourist accommodation was the first to be occupied by settler housing. The first houses set on the hill of Jabel Tawil were prefabricated structures wheeled over from Yamit, a settlement in the north of the Sinai. 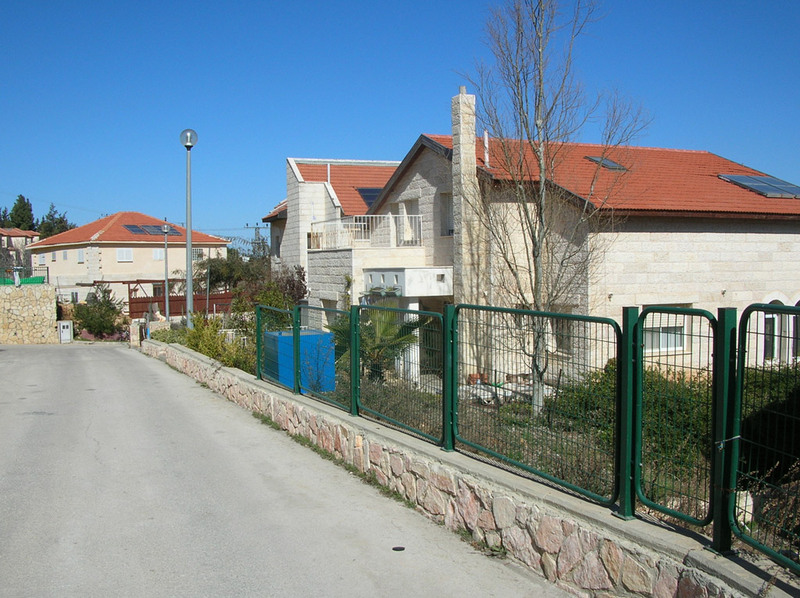 Psagot is at present a religious settlement inhabited by 1,700 people, mainly American Jews and a minority of recent Russian and French immigrants. Rather than a single unified proposal of urban planning covering the entirety of Palestine, our project presents detailed transformations on the architectural scale. 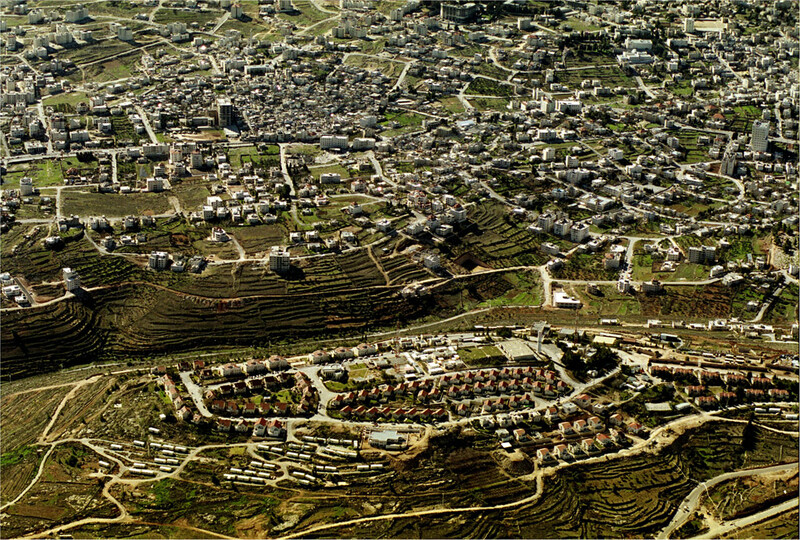 There are hundreds of thousands of Israeli built structures in the West Bank, but because the number of typologies in settlements and military bases are limited — variations on the single-family dwelling in settlements and concrete prefabricated barracks in military bases — these ‘fragments of possibility’ constitute a semi-generic approach that could be modified to be applied in other evacuated areas. The manual will determine to what extent the evacuated structures are flexible to accommodate new uses and will demonstrate the various ways in which they can be adapted or transformed. The production of the manual is based upon a series of meetings with the “stakeholders” in this process. It includes representatives of various organizations and individuals, the local community, members of various NGOs, government and municipal bodies, academic and cultural institutions, local residents and resident associations. Their genuine participation is the crucial factor and the only agency that could guaranty the implementation of the actions outlined in the manual.